Launch Trickle, log into your Twitter account, and your device becomes a Twitter wall displaying your timeline. Great for monitoring Twitter while doing something else. This allows me to get more information from Twitter since it is rare I have the time to monitor my Twitter timeline constantly. "Trickle is a passive Twitter client. Simply launch Trickle and let it do its thing. 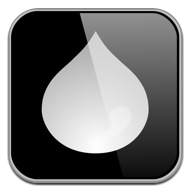 Trickle is NOT a full-featured Twitter client. Instead, Trickle is designed to do just one thing – display tweets. Tweets are displayed individually so they are easy to read. New Tweets will push in from the right as they arrive. Trickle handles all the work leaving you free to do other things."